Wishing you a Happy Friday and kicking off something that I may make a weekly affair depending on how this goes: Free Book Friday! 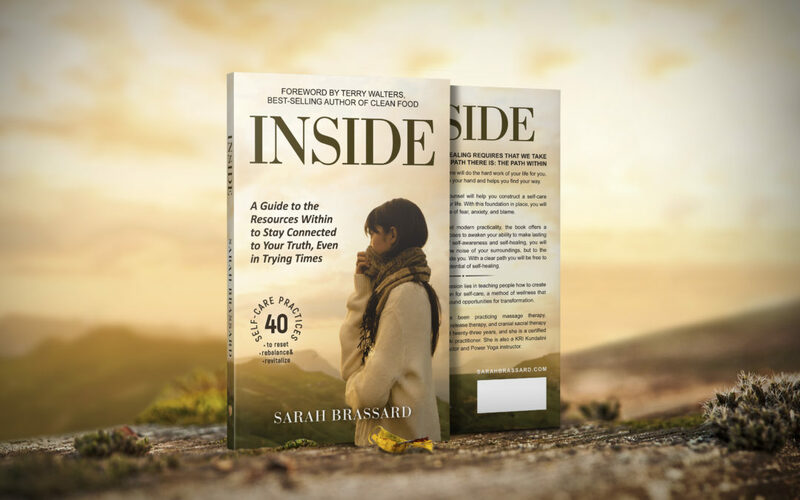 Today you can win a free audiobook edition of INSIDE: A Guide to the Resources Within to Stay Connected to Your Truth, Even in Trying Times by Sarah Brassard. What I’d like to know is: What is your self-care regimen look like? Share what you do to prioritize self-care in your life and I’ll be choosing 5 people to gift a complimentary copy of the INSIDE audiobook. I always make self-care a priority as it is too easy to get burned out, lose motivation and not be at 100% if I don’t. Upon waking up the first thing I do is go outside, stretch and do a 10-minute yoga sequence barefoot on my grass lawn. I’ve been doing this every morning for close to 15 years and have found that doing yoga barefoot on grass is – quite literally – a grounding experience. Then I’ll have a black coffee and write, whether that’s an email like this or writing a chapter for my next book (The Art of Creation). I’m usually done with all this and headed home by 9:30am, where I’ll have a protein shake and prepare to dive into the day’s activities. I’ve found that having this morning sequence dialed-in helps me stay consistent and I don’t spend much time thinking about what I should do, I just get up and start going through the motions. Ideally once per week I’ll do a candlelight yin yoga class in the evening. Yin yoga is all about long, slow holds of poses and quieting the mind while relaxing and restoring the nervous system. Once every one or two weeks I’ll get a Chinese-style massage, the kind where you soak your feet in water and they massage your face and head as well as feet and body. On the weekends I’ll take a hike or do an outdoor activity – if I’m in Vegas, then I go out to the open desert, if I’m traveling then I find somewhere to explore outdoors. Any week where I do 80% of those things tends to be a highly productive, enjoyable and balanced week. For me self-care is more about having a practice and mostly sticking to it, then creating any new source of stress by expecting I’ll do everything, every week and then feeling bad about missing something. So, what is your self-care regimen? How do you balance the activities, stresses and expectations of life with time to relax and restore? I start every morning with a cup of herbal tea (the first of a few cups of tea- including green, oolong…) During the day I take a long walk with the dog (time dependent on weather), plus perhaps a bike ride or a swim. A few days a week I take a hot soak to relax mind and muscles. I also relax mind and body by doing “legs up wall” and a short yoga or stretching routine. I do eat “comfort food”, but also lots of greens and other vegetables. At night I put myself to sleep by meditating on what I am grateful for, and/or sending blessings to parts of my body, people and beings I care about. To ease stress during the day I close my eyes and breathe a few focused breaths and take a stretch and “brain break”. It’s important for my sense of fulfillment to do something every day to bring happiness to someone else or to ease suffering by signing petitions or “clicking to give, etc. I consider this part of my self-care as well. Hi Val, thanks for the great response and sharing your approach to self-care. I like how you mentioned doing activities that bring happiness, that is truly self-care at it’s finest. I love your ritual, what a delight to hear about the tender loving care you take of yourself. Thanks for sharing with us. I wish I could be less stressed in the morning and less tired. Nice one John, thank you for sharing! Every morning I do 60 minutes of science based yoga meditation. This means I use scientific information in my yoga and I meditate while I do a low impact yoga pose to exercise every muscle in my whole body. I don’t just sit down and watchthe mind roaming until it stops. My mind is regulated by four types of breath to make it more intelligent and to empower it to genrage insights for my daily activities and to help solve difficult problems I encounter in life. I finish with a sequence of headstand to energize the ten systems of the body with visualization from my mind. The 10 systems are the skin system, the muscle system, the bone system, the nerve system, the digestive system, the excretory system, the blood system, the air system, the “reproduction” system, the “endocrine” system. This means my mind is now given the duty of looking after the ten systems as well as what is done naturally in the body. This technique works well for me. It is really amazing. You can try it out by following the closed facebook group science based yoga meditation. I have written a book on this technique. Yes, it does, John and the more we practice the more space there is. I love that! Daily morning meditation is the self-care ritual which shapes my life and allows for the ‘best’ to become me. It is a game changer..
Love it Ilana, and I agree that a true self-care practice has a daily ritual. Don’t want to go more than a day without caring for myself! Yes, it is Ilana, it actually changes the functionality and structure of the brain. Thank you for sharing with us. Thanks for widening the conversation about self-care! I’m just back from speaking on “Mindful Self-Care as the Antidote to Burnout at Work” at SXSW and I find that walking the talk about what you do is highly important, lest one be a hypocrite! So, each morning before I get out of bed, I do a short 15-min mantra-based mindful meditation that includes repeating positive affirmations (the same ones each morning) and then I simply pay attention to my thoughts and I practice 5-5-5 breathing where I focus on the breath for 5 seconds, I deeply inhale for another 5, and then I exhale for five counts. Doing this ritual every morning followed by simple stretching and then dry brushing my body (very invigorating and it wakes you for real!) and stepping into a shower filled with my favorite essential oil body wash or scrub is an awesome start to each day. 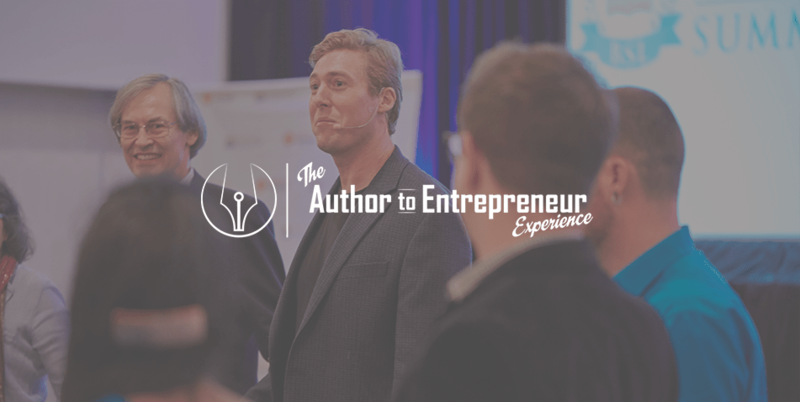 It’s a simple, easy-to-repeat ritual that grounds me each morning and prepares me to up-level my productivity in my business each day. My next self-care tip is that for every 90 minutes of work input or output, I rest for 15 min and I get off screens. Happy Friday Michelle and welcome back from what sounds like a great talk at SXSW! I really like your next tip of spending 15 min off screens (and in my opinion, preferably outside) for every 90 min of work. Thanks, Michelle, I include mantra and pranayama in my daily practice too, I find it is very effective for soothing my nervous system and helping me train the brain to stay in the present moment. I love your idea about the 15-minute rest for every 90 minutes of work, brilliant! Every hour, I do a “two-minute reset” such as: going outside for fresh air, listening to an uplifting song, stretching, getting a cup of tea, intentional breathing … This gets me out of my sitting (in front of a computer most of the time) and into my body! What a beautiful book, from the cover to the message. We all can use a bit more self care. I find as a women that we are always the caregivers and often put ourselves last on the list. Imagine the world we would live in if we came from our straights and took care of our own needs first and then stepped out into the world in a caring and loving way. This book gives us permission to do just that. Thank you, Sarah, for showing us the way! Thank you Cindy, and you’re right, INSIDE is all about helping you serve from the overflow, after taking care of yourself. Yes, I think about living in that world too, Cindy. A place where people value their lives from the inside out. From that abundant reflective world, humanity starts to heal. That is why we need to be ambassadors of self-care, we heal the world one person at a time. Every morning I arise at 445am. I am part of an intersessory prayer group and we pray from 5-6am. From 6 to 8am, I have my own personal time with God, write, stretch and go to the gym. I travel for my career, weekly I have a massage to keep my muscles stretch out and comfortable. I went to a homeopathic clinic 4 weeks ago and started a total body detox. It’s been amazing so I’m taking more time on my skin care, drinking water mostly and my vitamins and remedies. As someone who is a nurse and survived abuse, I’ve always been great at taking care of everyone, but me. This last year, that has changed and self love must come before truly being able to care for others. God bless. What a beautiful example of awareness, thank you, Michelle. I love hearing about the time and energy you are spending on your self-care, true healing happens with this level of devotion and commitment. Hi Jesse, Thanks for sharing how you kickstart your day with your power routine. I start my day with 10 minutes of guided meditation and then a 45 minute session of Warrior Yoga , that puts me in top gear. This is followed by a cold shower after which I chant for 10 minutes and then prepare myself a green smoothie every single day as part of my breakfast. I try and eat mostly organic and raw. These changes in my lifestyle over the last year or so , have really put me miles ahead of the person I was before. Breaking habits is a hard thing to do. Your rituals sound super supportive of holistic health. I am so glad that you feel fortified. Many blessings in health and happiness. Each morning after waking, I drink a cup of Chinese medicinal herb tea–mindfully preparing and drinking this tea is a very soothing ritual for me. Then I do qigong, preferably outside. In the afternoon, I usually go for a walk and make time to smell the flowers. In the evening, when I am winding down, I have another cup of Chinese medicinal tea and repeat some of my favorite affirmations. Then I spend some time doing gratitude journaling so I am thinking about positive thoughts as I climb into bed. I love your understanding of how important it is to go to bed in that peaceful open state, thanks, Lorena. Hi Maureen, as difficult as it is to deal with an injury it can often motivate us to try different ways of living. It sounds like walking has brought that to you. Congratulations on your willingness to try. I start my day with my morning routine which includes grabbing a cup of Chocolate Orange Tea to re-hydrate and doing some gently stretches plus some bouncing on my rebounder to get myself going! Next I get outside in the courtyard between the house and the meditation studio and I do some earthing (being barefoot on the bare ground) and do a modified version of “Sun Salutation”, leaving out the prone positions and incorporating a more swinging action when standing upright. This really helps me feel the energies of the earth pulsating through my body. Now my energy is flowing it’s time to get myself into a peaceful and joyous (well, as close to being joyous as I can be) state with an hour of meditation ( doing Anapana and Vipassana). I usually enter my meditation looking for the strength and clarity to know my own good and the good of other, for my own welfare and the welfare of those around me. One last thing I need to start my day is some fuel for my body. Something with ground cacao nibs in it, for an energy blast -Chocolate Blueberry Mint Smoothie. Then it’s off for some fresh air and exercise walking our dog in the hills. Exercising and breaks from working on my computer are important to me so I make sure I take a small break every hour with some stretches and a little rebounding (jumping on the mini trampoline) and after a couple of hours I try to get outside for some exercise in the fresh air. Having a healthy diet is very important to me and I’ve done major cleanses to my diet taking it to a ketogenic diet that is low carb, high fat diet. We are happy with this type of diet to fuel our body and I take extra measures to make sure we have the best foods available to us for maintaining our health. Having the love and support of my friends and family is important to me too, so I make sure I don’t get carried away by my other busy -ness and make sure I get some quality time with them. I believe it all starts with loving and caring for yourself then you can better love and care for others! Congrats, you WON a free audiobook of INSIDE! I have my coffee with a light breakfast with my kiddos. After they are gone, I scan what I plan to write about that day. I get on my rowing machine for 10-15 minutes and open my mind. I find I come up with better ideas when I’m not forcing them at the keyboard. Agreed, Joy, creativity needs space and an open state of living to flourish.